Reuters – The European Union has decided to set duties on hot-rolled steel from Brazil, Iran, Russia and Ukraine after a complaint by EU manufacturers that the product used for construction and machinery was being sold at excessively low prices. The EU will levy anti-dumping tariffs of between 17.6 and 96.5 euros ($20.6-112.8) per tonne from Saturday, its official journal said. The European Commission had initially proposed setting a minimum price – of 472.27 euros per tonne – but revised its proposal after failing to secure backing from EU member states. European steel association Eurofer, which brought the complaint, said it was happy the minimum price proposal had been dropped, but expressed disappointment that the Commission had opted for fixed-price rather than normal percentage tariffs. Given the current price of steel, the fixed-price amounts were lower than the equivalent percentage tariffs the Commission had set out in its reasoning. “This outcome is not in line with normal EU anti-dumping procedures and the objective to tackle unfair imports,” said Axel Eggert, Eurofer’s director general. He also said it was not right that the Commission had ended its investigation into Serbian steel imports without proposing measures. The country, he said, was home to a large state-owned, state-run Chinese steel producer. Chinese hot-rolled steel is already subject to duties. Among companies newly facing tariffs were the Brazil arms of ArcelorMittal (MT.AS) and Aperam (APAM.AS), both of which also produce in Europe, Companhia Siderugica Nacional (CSNA3.SA), Usinas Siderugicas de Minas Gerais (USIM5.SA) and Gerdau (GGBR4.SA) – at rates between 53.4 and 63.0 euros per tonne. 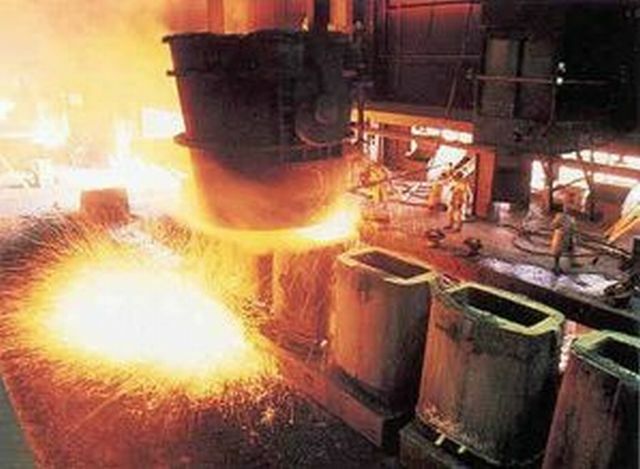 Iranian steel would be subject to a duty of 57.5 euros per tonne and Ukraine’s Metinvest Group [METIV.UL] 60.5 euros. Rates for Russian producers varied from 17.6 euros for Severstal (CHMF.MM), 53.3 euros for NLMK (NLMK.MM) to 96.5 euros per tonne for MMK (MAGN.MM). BCS investment bank said there would be no major impact on Russian steel companies, which had already redirected volumes from the European markets to other markets. MMK said it would redirect part of its hot-rolled steel to Asian and other markets due to the imposed duties, with the Russian domestic market remaining its priority. Severstal said it would continue to ship to Europe because of its low tariff rate, giving it a competitive advantage over other suppliers. NLMK said it expected its European plants, including La Louviere which produces hot-rolled steel in Belgium, to benefit.